Happy Independence Day from your friends at Voices for Children! 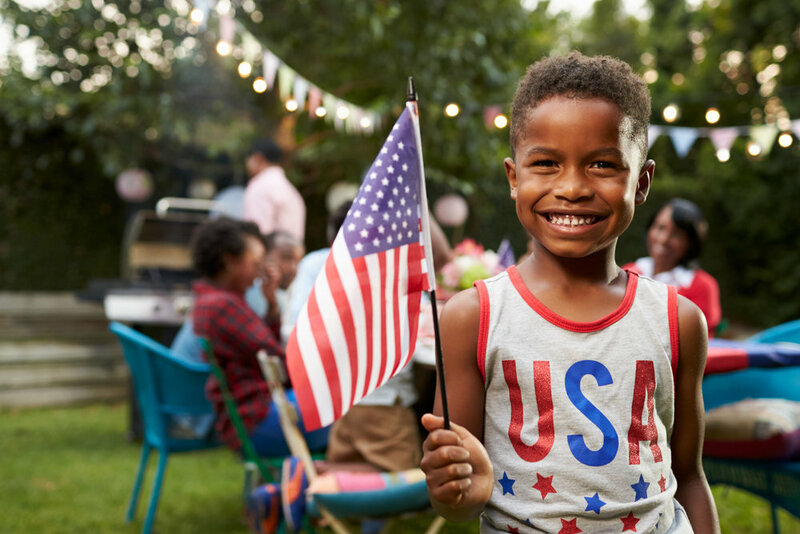 We hope that the day is filled with parades, barbecues, fireworks, and impromptu baseball games, families, friends, smiling children and gleeful neighbors. Perhaps you’ll spend the day at Fair Saint Louis or, you’ll load up the car and headed to White Birch Park in Hazelwood for an exciting day of scarfing down good food, talking, and lighting off colorful fireworks! All fifty-six signers put their lives on the line to preserve and protect the freedoms they felt were the God-given unalienable rights of all people. The closing of this nation’s most important document embodies a sense of camaraderie and unity that is not only inspirational, but justified the nation's bid for independence by portraying it as a real, united country… a concept that resonates in the soul of all Americans nearly two and a half centuries later. As you celebrate, we invite you to recall the true meaning of Independence Day, a reminder that we are all bound together as Americans. While we pursue our own happiness we must also pledge part of our lives and fortunes to others. As you read this, there are nearly 2,000 children living in foster care in St. Louis City and County due to abuse and neglect – hurt by those people who were supposed to cherish and care for them. For these children there may be little to celebrate. But you can help. When you sign up to become a CASA Volunteer, purchase your tickets for our upcoming Trivia Night or click our donate button — you will be doing your part to help to St. Louis’ children and youth currently in foster care, contributing to their fortune and taking ownership in protecting their sacred honor – and that is exactly what it means to be an American. The true spirit of Independence Day isn’t about wearing patriotic colors and lighting firecrackers, it’s about stepping outside of ourselves to aid this great nation for the betterment of us all.